Photos are being used more frequently on websites, blogs, slideshows and ebooks. 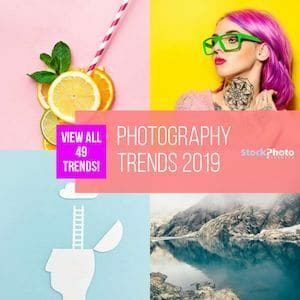 The need for photos has increased dramatically and more people are using stock photo agencies to buy their photos and images, protect their companies from copyright issues and utilize the many options that stock photo agencies offer. The risk involved in taking images from the internet far outweigh the perceived financial benefit. If you want free photos, there are many stock agencies that have free photo galleries. Buying a stock photo for as little as $1 USD with all the benefits included below is a better way to protect yourself and your company. 1.) Time Stock photography, images and illustrations are ready for immediate download and only require two steps to make this happen. If you are not registered with stock photo agencies, free membership can be obtained immediately and credits or subscriptions ordered within seconds. If your stock photo needs are urgent, searching, buying and downloading is fast and easy. If you need travel photos, unique model photos, nature photos or location photos, buying online stock photos is the easiest way to get this work done. 2.) Selection The top stock photo agencies have a minimum of 8 to 13 million stock photos and images in their databases. Where else can you get a selection like this! These large databases have sophisticated search engines to help find the right image quickly. Collections are diverse and include any subject, location, emotion or color. It is recommended to have memberships at many of the stock photo agencies so that your selection is even greater. Each agency has their personal collections where art or unique photos are highlighted. Don’t miss out on these personal collections. Having multiple memberships makes sure you find the photos that you need. 3.) Licenses Each project has different licensing needs. Having access to multiple licensing options, extended licenses and rights managed, gives you more freedom for your projects, greater protection and explanations of the best license for your project. Every photo or image you download has a standard license, royalty free, so you are protected under the terms and conditions of the stock photo agency. Google images taken from the internet do not carry these basic and needed licensing protections and using them could cost you more than a stock photo! 4.) Releases If you are purchasing a royalty free photo (standard license) these photos come with the necessary model and property releases. Releases are legal agreements from the property owners or models stating that they agree to their image being used under general conditions. Releases are necessary image protection for any company advertising and marketing campaigns. 5.) Membership Benefits Having a free membership to many stock photo agencies is to your advantage. Many stock agencies have newsletters, free photos, new photos, and stock photo information that only registered members can benefit from. Veer, Canstockphoto, iStockphoto, Shutterstock, Thinkstock and Cutcaster are some of the agencies that offer free weekly photos. Membership does not require a financial investment until you want to buy stock photos from a stock agency. 6.) Photographers and Designers Every stock agency has a wide variety of different photographers and designers who contribute to their database. Joining each stock agency lets you search for images and stock photos of more designers and photographers. This is helpful when needing unique and location specific images. 7.) Buying options Everyone knows that each stock agency has different pricing structures and licensing prices. 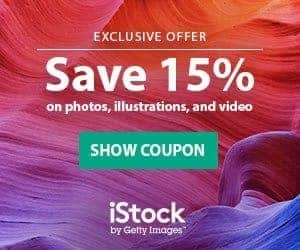 Shutterstock has cheap subscriptions, 123rf has cheap credits, Fotolia has cheap licensing options, iStockphoto has unique collections like the Vetta Collection. Once you have mastered the benefit to each stock photo agency, you can use your free membership to capitalize on the cheap options that each stock agency features. 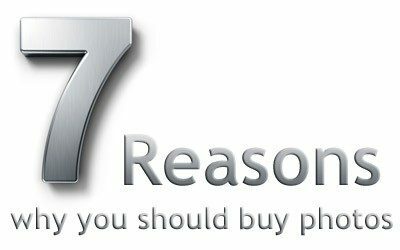 Buying stock photography has more than 7 benefits. As you become an advanced user of the stock photo agencies you will see why being a member of multiple stock agencies and buying images, photos or illustrations is the best way to support immediate design needs.